You are viewing a past performance of Bridget Christie. What Now? Why See Bridget Christie. What Now?? Brexit. Trump. Climate Change Denial. In an era of fake news and Russian hacking, its easy to feel like the world is coming to an end. 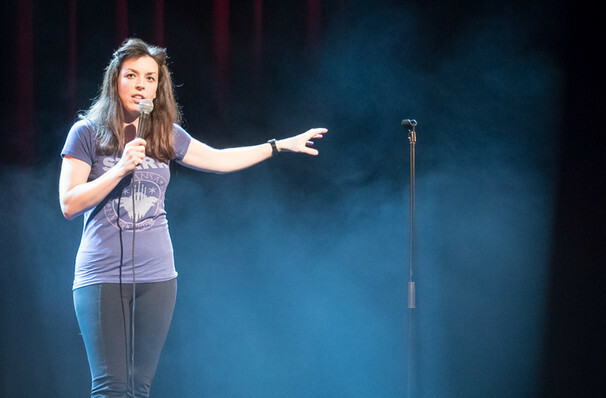 Celebrated English stand-up Bridget Christie knows exactly how you feel and in her new show 'What Now?' she attempts to direct her liberal elitist rage into constructive ways to once again enjoy the simple things in life - The Great British Bakeoff, gardening and fresh laundry amongst them. Groundbreaking comedian, acclaimed author and star of her very own BBC Radio 4 series, as well as a Netflix special entitled 'Stand Up For Her', Christie has long crafted intelligent diatribes tackling new wave feminism and sexist politics, and today finds her irascible wit more topical and on-the-button as ever. Her rapid-fire sarcasm deftly blends despair with hope as she fires shots at the likes of Putin and his acolytes, setting the world to rights by tearing it apart with a skilful black humour that'll provoke thoughts and have you rolling in the aisles. Seen Bridget Christie. What Now?? Loved it? Hated it? Sound good to you? 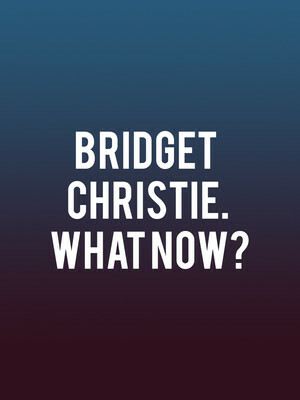 Share this page on social media and let your friends know about Bridget Christie. What Now? at Leicester Square Theatre. Please note: The term Leicester Square Theatre and/or Bridget Christie. What Now? as well as all associated graphics, logos, and/or other trademarks, tradenames or copyrights are the property of the Leicester Square Theatre and/or Bridget Christie. What Now? and are used herein for factual descriptive purposes only. We are in no way associated with or authorized by the Leicester Square Theatre and/or Bridget Christie. What Now? and neither that entity nor any of its affiliates have licensed or endorsed us to sell tickets, goods and or services in conjunction with their events.